The set comprises 2 Vee Blocks and 2 Clamps packed in a wooden storage case. 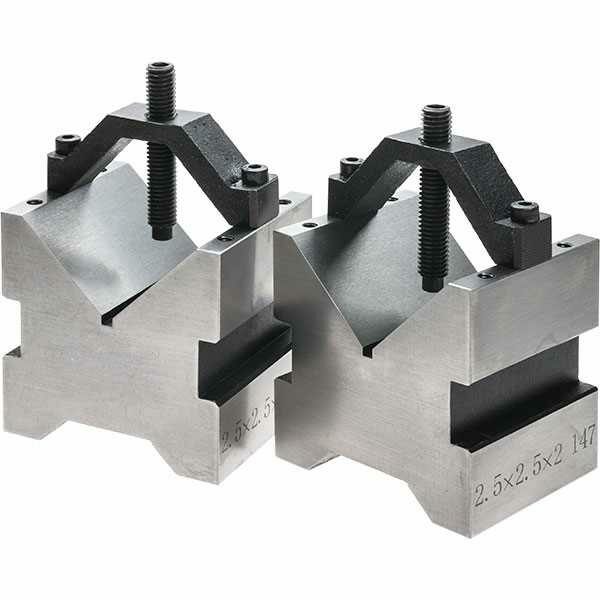 The Vee Blocks are hardened to HRC58-62 and ground as a pair for accuracy (the clamping slots are not ground). Size (HxWxL): 21/2" x 21/2" x 2"
Maximum holding diameter: 1.3" (33mm) (approx).